Launched in late 2018, Rolla Casino is another new kid on the block. I think we’ve established that in today’s market, for a brand new online casino to survive, it needs to be pretty special, have an incredible design or some unique feature to set it apart from the plethora of other new sites. It’s nice to have a simple yet effective name without eluding to ‘Vegas’, ‘Luck’, ‘Slots’ or ‘spins’, so that’s a plus, but does Rolla.com have what it takes to stand the test of time? First impressions when you open the site, are a little disappointing, but hear me out, there’s a reason why. There’s a red and black colour scheme and a simple homepage. There is a small bar along the top with links to tournaments and rewards and a drop down menu taking you to all the games available. These include: slots, video poker, live casino, roulette, black jack and table games. Under this, there’s not much else. However, scroll down and you’ll see that once you sign up, you’ll create your own personalised dashboard where you’ll see your balance, rewards, favourite games and tournaments. Such a simple idea and one which I’m sure will catch on with other new sites. Scroll further down and you’ll also see how to enter the daily tournaments in which the amount your wager each day gets turned into points. These in turn get converted into prizes as you work your way up the leader board. 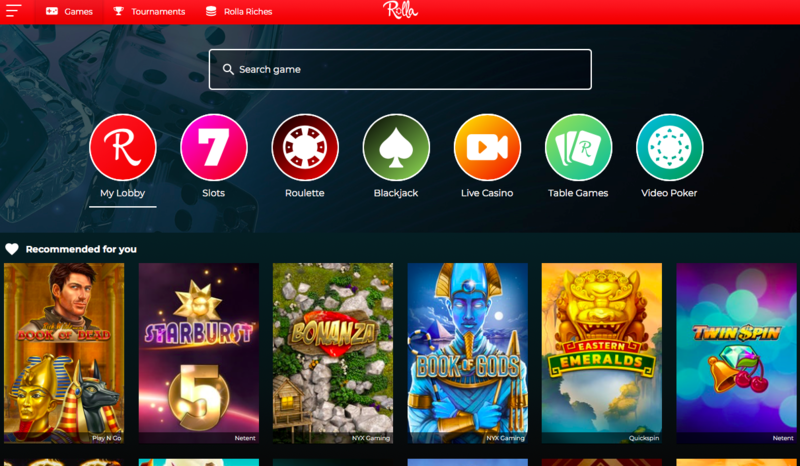 At the bottom, you’ll see that instead of focusing on attracting as many new players as possible, Rolla casino does away with deposit bonuses and instead gives you real cash-back rewards and wager free spins, which can also be used in the live casino and roulette as well as slots. Be sure to check out where rewards can be used at the time of earning them, as terms can often change. There are over 500 games available at Rolla, with a huge selection of slots, table games, live casino games and video poker. You’ll find classic titles such as Starburst, Immortal Romance and Twin Spin and brand new release games and they come from an impressive list of software developers including NYX, Microgaming, QuickSpin, PlayN Go, Scientific, Yggdrasil, IGT and player favourite, NetEnt. At present, the only language option is English, but you can use Australian, New Zealand and Canadian Dollars, Euros, British Pounds, US Dollars, Swedish and Norwegian Kroner. Crediting your account is pretty simple too, with Neteller, Visa, Mastercard, Bank Transfer, Skrill, Trustly, EcoPayz, Paysafecard and Entercash all being accepted. Make sure you check your jurisdiction for deposit and withdrawal methods and be aware you may need to provide further documentation to withdraw any winnings. 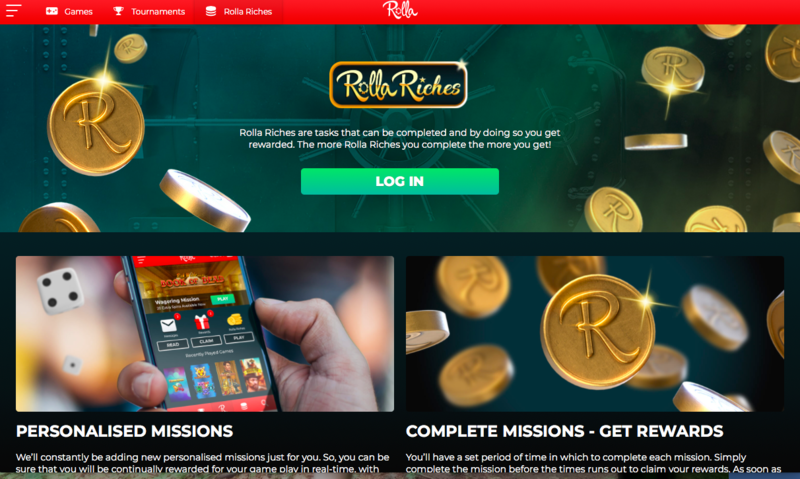 Even without signing up and getting the fully personalised experience, it’s clear from the outside that Rolla Casino’s main focus is on rewarding loyal players and ensuring they’re retained, rather than trying to attract as many new players as possible with tempting welcome bonuses. Given the stricter regulations on bonuses, this is a good move which more and more online casinos are now adopting. It’s a subtle but classy site which may just end up a firm favourite.